Yes about Coremiocnemis sp, usually sold as "sp Bukit fraser" or "sp Fraser hills". In my opinion she is a C. hoggi. I am still seeking specimens of Selenotypus sp & Phlogius sp but they are hard to find. That is definitely a C Hoggi.Their habitat is just a few hours from my place because they are in my country By the way,the C Hoggi,is it lowland type or highland type?I had one juvenile female but it died as she cannot tolerate the temperature.I guess she is the highland type. You are lucky to live there. I don't know if she is from lowland or highland. "Their habitat is just a few hours from my place because they are in my country " - you are a lucky man I had a one import mature female from Malaysia (I don�t know locality) but she�s die also a few months later :(. 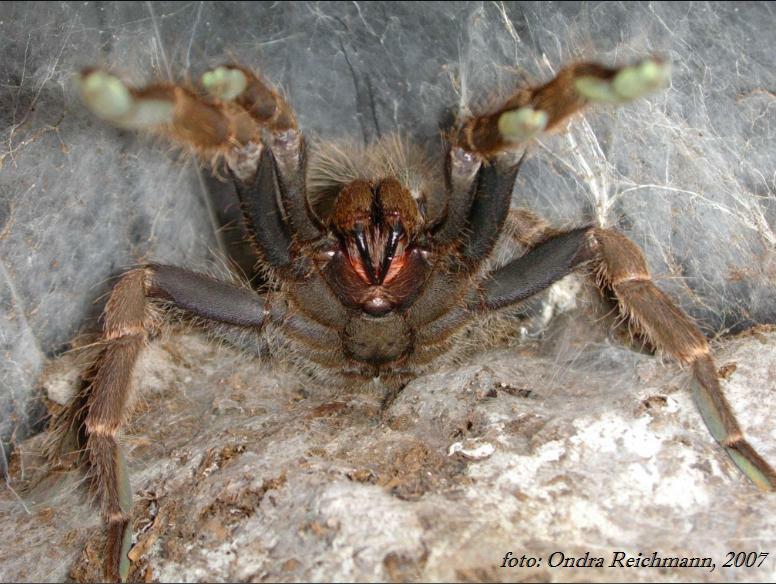 Orphnaecus sp. Marinduque, second inst. true Lyrognathus robustus, third inst.